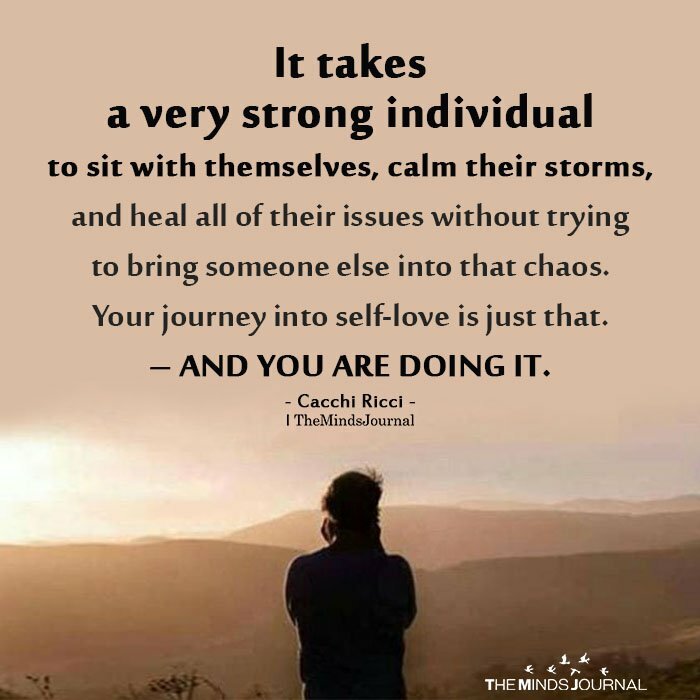 It takes a very strong individual to sit with themselves, calm their storms, and heal all of their issues without trying to bring someone else into that chaos. Your journey into self-love is just that. – and you are doing it.